Originally this illustration was used in a FaceBook advertisement in 2011. 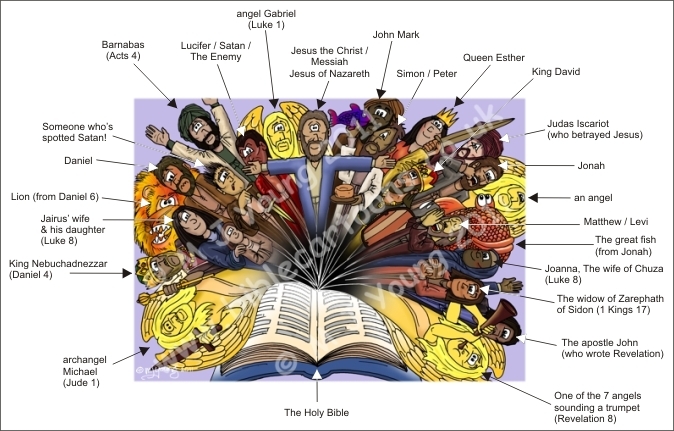 The “Who’s Who” picture below tells you… who’s who in the picture! 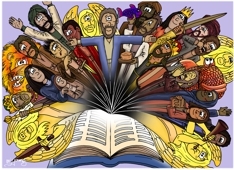 The idea of the “explosion” is to show the wealth of characters, situations & truth that are to be found in the Holy Bible, literally just waiting to “burst out” before our eyes. 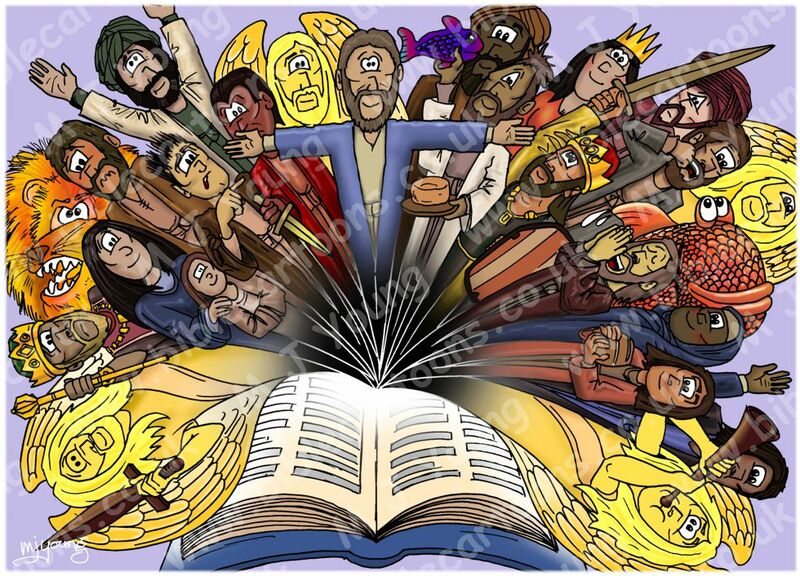 Bible Characters Explosion- Who’s who!